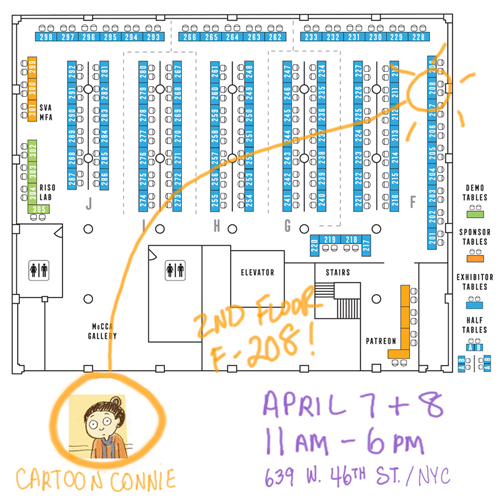 Connie to the Wonnie: Update: I'll be at MOCCA FEST 2018! Update: I'll be at MOCCA FEST 2018! 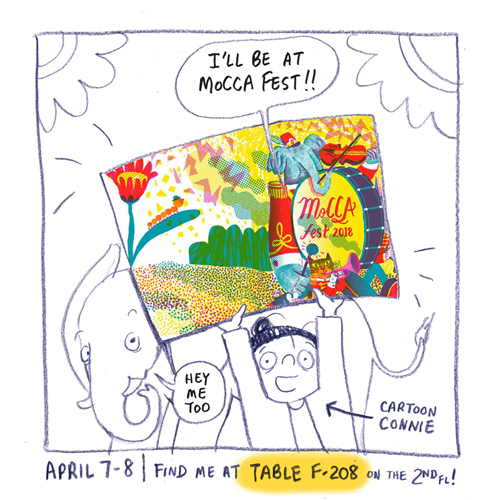 Excited to announce I'll be tabling at #moccafest on April 7 & 8 in NYC! If you want to have an awkward conversation with me in person, I'll be on the 2nd floor, Table F-208! MoCCA Arts Festival is Manhattan's largest indie comics and cartoon festival, organized by the Society of Illustrators. Hope to see you there! You were great at Mocca!!! It was nice to meet you!